Also, inspect your chimney to see if it leans or tilts. If you have any of these symptoms accompanied by foundation shifting and moving, contact a professional right away. At Jerry's Waterproofing, we have the resources to fix your settlement before you notice any further damage. There are several factors that cause foundation shifting and moving, but the main culprit is water. Because the soil in Iowa and Nebraska consists of clay, it tends to shift drastically. Expansive clay soil expands when there is too much water, and shrinks when there is too little. Summer weather being extremely dry can cause the ground to pull away from the foundation. Conversely, saturated soil creates pressure against foundation walls, causing them to bow and crack. 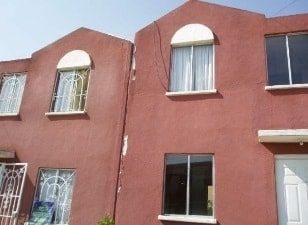 Keeping water away from your foundation is critical. Make sure your gutters are free of debris and leaves. Also, install proper downspout extensions to direct water away from the foundation. Bushes and other landscaping that are planted too close to the foundation should be transplanted away from the foundation. Finally, make sure the grade of your yard slopes downward to allow rain to drain away from the foundation. If you still suspect problems, contact our team of experts. We'll locate the source of your foundation shifting and moving to keep your home safe and dry with professional foundation repair. Steel push piers: Steel push piers are heavy-duty steel tubes that are hydraulically pushed through the ground until they reach the more suitable soil. Helical piers: Helical piers are steel shafts drilled down into stable soil. They lift the home back to its original position with minimal disruption. 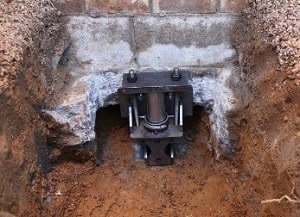 These piers are easy to install while providing permanent foundation support. Both piers can be used to lift and support your shifting and moving foundation back to normal. Also, they are installed year-round from either inside or outside of the structure. For quality service in Iowa and Nebraska, contact Jerry's Waterproofing today. We have the right products and material for your home.